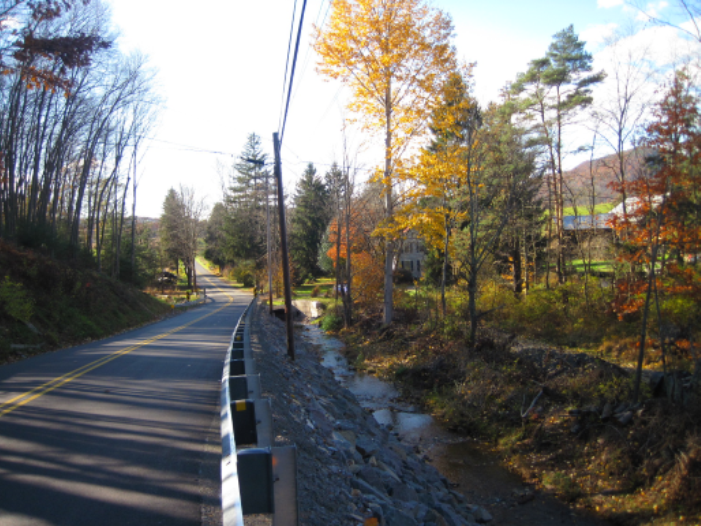 This project involved the fu ll depth roadway reconstruction of the northern lane of Kaiser Hollow Road along Resser Run for approximately 550 ft. Due to Tropical Storms Irene and Lee, the northern lane and shoulder were slumping and collapsing with wide cracking and settlement of the roadway. Reconstruction included excavating 24” of existing roadway and subgrade as well as placing 9” of AASHTO #1 stone, 8” of 2A subbase, 5.5” of hot mix base asphalt and 1.5” of hot mix surface asphalt. 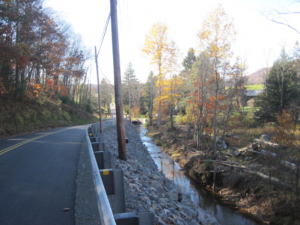 The bank was stabilized by placing large R-8 and R-6 riprap. A new stormwater culvert pipe crossing, precast concrete inlet, and 2RC shoulders, and a guiderail were installed. 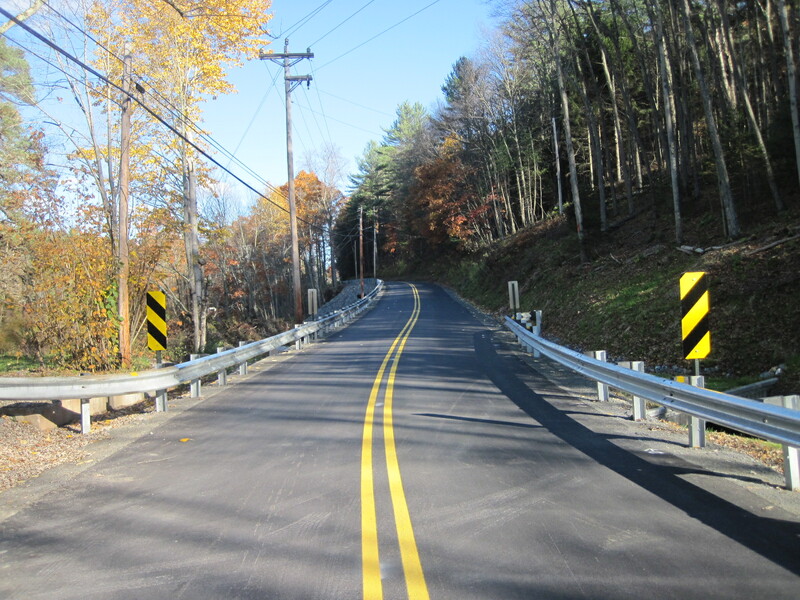 The project was constructed by Robert C. Young, Inc.. of Mifflinville, PA.